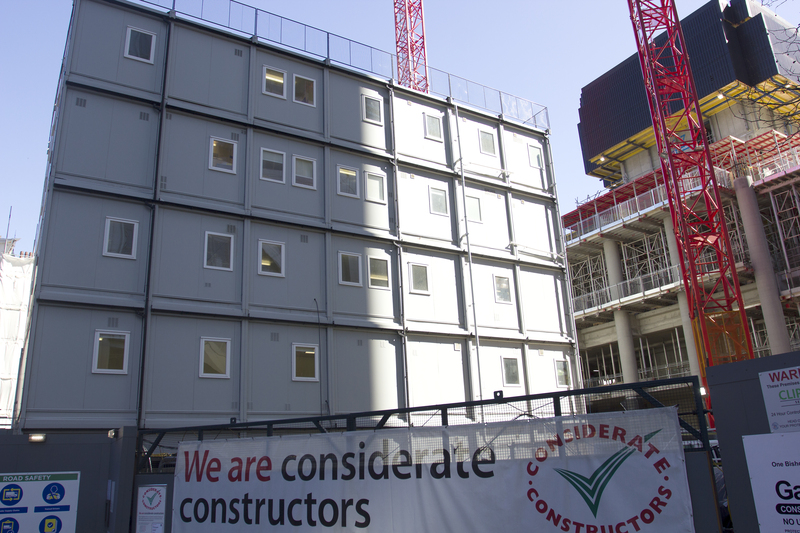 Lendlease needed to create high quality office and welfare accommodation for their construction site teams. Finding a temporary accommodation partner to provide the best project management experience and a product fully flexible to accommodate the 5 storey configuration was paramount to their selection. 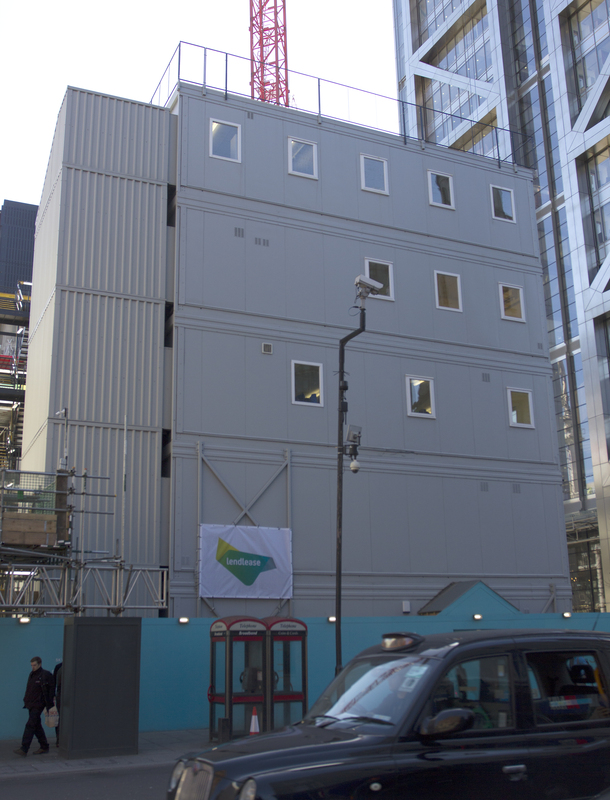 Premier was appointed to supply the 5 storey building to cater for 600 operatives and 60 staff using 35 No Interlink Modules in the heart of London’s financial district. The building included induction areas, several changing rooms, canteen and kitchen facilities, office and meeting rooms configured to provide adequate circulation space sufficient for their peak people flow expectations. 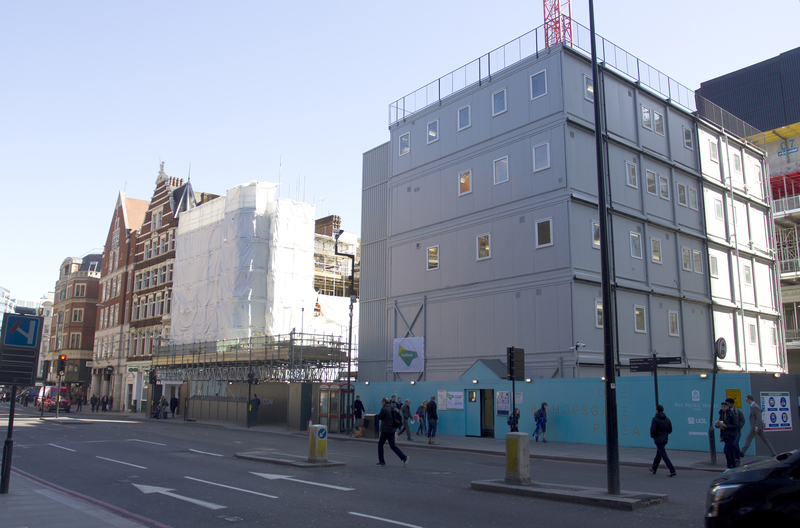 Premier utilised their wealth of experience for this challenging complex installation due to the small footprint on site and proximity of the existing buildings, the reduced working hours available and being within a 3 mile radius of Charing Cross. The 43 storey hotel and apartment skyscraper at 150 Bishopsgate is being developed by Singaporean investor UOL Group who purchased the site for £97m from Gerald Ronson’s Heron International in 2014. Formally known as Heron Plaza (pictured), the 536,000 sq ft scheme was designed by PLP and includes more than 100 apartments, conference and banqueting facilities, meeting and events spaces, a gym, spa and swimming pool are also planned.